It’s widely understood that loneliness is as toxic to the human body in the same way that poor diet and lack of exercise are. We need each other, even while we often find other people annoying. I’ve been wondering how churches figure sort out hat problem and support environments where belonging and community flourish. Certainly, the common principals and values of the Christian faith are a bedrock for flourishing, but visit a few churches and you’ll easily see that those are simply not enough. So, what else do we need to figure out how to belong? Does everybody get to belong? Or do we have to find our tribe first? Historically, this seems to be how it worked. Even in our Christian nation, we have been sorted between denominations, liberal and conservative, whites and people of color, and any other of a number of distinctions. But now, as the population of Christians is shrinking throughout the country, we’ve got fewer options for self sorting according to tribe. For many church communities, it’s either widen the small tent, or die. leverage change in the “fortress keepers” - teach, preach, communicate and advocate that your church is not a fortress, that there is no siege, and thinking that way is no longer acceptable or honored. Changing this mentality is imperative. cultivate knowing and sharing - create opportunities for deeper conversations and sharing of history. Don’t miss opportunities to move small talk into wide windows of knowing. stay positive - remember the good and celebrate it, forget the dismaying as soon as it is address and stop rehearsing it. love the newcomer - whether she is addicted, or he is mentally ill, whether they are an intimidating genius or a five year old motor mouth, welcome and love them as a new part of the community on their terms not yours. I’m sure there are more factors for creating a community of belonging. But this is a start. Jesus’ community was fluid, diverse, and, I suspect, as full of joy and humor as it was a meaningful activity. I pray that we can all model that kind of attractive space in our churches. We don’t have to be big to be beautiful places for the Holy Spirit to dwell and human beings to flourish. In between jobs...9 things that helped. 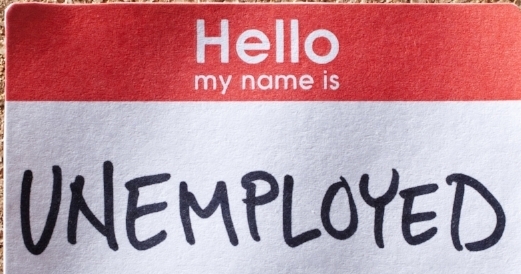 It's likely that most adults will experience some period of unemployment during their careers. I'm just coming off of five months of it now. Granted, my unemployment was the result of a long-planned for resignation, but it still left me with great uncertainty - both financially and career-wise. Would I find another position? Would I make it financially? 1. Accept that you will feel anxious and cultivate prayer and mindfulness as responses. 2. Prioritize your finances. Make sure that the essentials are covered and then get creative with how to minimize costs. Success in this will help you gain confidence and skill. 3. Create a daily and weekly structure and stick to it. If you are sending out applications and making phone calls...find that time of day that works for you and give it your focus. Then put it aside. If you don't attend a place of spiritual community, this is a great time to do it. It will provide new social networks and a place to be encouraged and nurtured. $. Take a class, volunteer, join a movement that you care about. Be realistic and transparent about what you can give in the limited time before you return to work, but share your skills and talents. 6. Take time to love. Get to know your neighbors, reach out to those you've lost touch with, let your networking be a part of your encouragement and love of others. If you can enjoy someone else's children, or get to know an older person, do it! 7. Exercise and eat in ways that help you feel in control and well. 8. Most importantly, be your own best recommendation. You know your skills, your interests and your capacities. Don't let yourself get down because others don't see them. Let yourself shine because you keep polishing the light. Cultivate confidence. Watch youtube videos about how to interview for a job or to gain greater professional capacity. Do what it takes to feel your own giftedness. Jim Carey said that people want to be "free from concern". Whether we're entertaining them, spiritually nurturing them as pastors, or applying to them for a job. It's hard to be free from concern when we are unemployed, but it's very attractive to others - especially in contexts where the stress is obvious and expected. I'm so grateful to have found my next place - and to know it's exactly where I was hoping to go. I pray you find your inner peace and that your period of unemployment is meaningful and enriching before the next adventure! As the new liturgical year begins and the calendar year ends, it’s a great time to map out a plan for preaching. If you preach the Revised Common Lectionary, you may be strategizing about how to weave the scriptures with the concerns of your congregation. I hope this blog will be a resource for you. 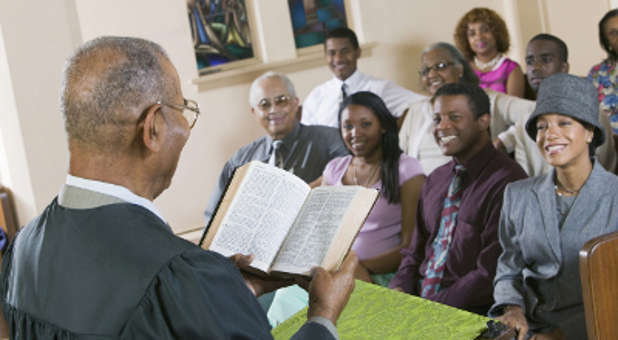 Every person in your congregation comes to worship with specific concerns. Those concerns differ with ages and stages. But the good news is, there are plenty of Sundays and plenty of topics that most people want to hear. I created a list of primary concerns for adults based on their life stage. From the issues of each group, I created this list of topics. Then I added sermon subjects that every Christian needs to hear regularly. After going through the coming year's lectionary readings, voila, I created a topical preaching schedule. Inner Spirituality and Outer Community – Why Church? With these topics in mind, I went through the RCL and created a chart that enables preachers to cover these topics in a year. The calendar goes from Epiphany to the end of the liturgical year (Christ the King Sunday in November). Feel free to download your copy of the chart and use it as you see fit. Prints to 2 pages PDF. And how about that preaching series? A few notes about national holidays: If your congregation honors Ash Wednesday with a service, this is a special year. Ash Wednesday lands on Valentines Day! What an opportunity to celebrate the power of forgiveness and love with those in your congregation who won’t be out romancing! Easter lands on April Fool’s Day. Good luck with all the bad jokes. Earth Day is April 22nd. The readings for this Sunday lend themselves to issues of Work-Life Spirituality and the Ethics of Being a Neighbor. I’ll bet you can do something with that! Thanksgiving lands on C.S. Lewis’ Saint’s day. Kind of fun. God bless you as you prepare to preach the Gospel to your community in 2018! Pastoral care givers and theologians warn us of the minefield faith and scriptures create when used inappropriately. This is especially true as we consider the ill and disabled. Not only do we do a disservice when we over-emphasize the power of faith to bring healing, but also when we misinterpret the language of "healing" vs "cure" and inadvertently denigrate those with chronic disease or disability. Even our jargon (lame, retarded, unclean) can hurt. I intended to highlight the do's and don'ts of being an inclusive and welcoming church for those who are differently-abled and differently healed. But I discovered that I needed a primer on the complexity of this issue. So I'm sharing my primer with you! Here are a treasure trove of resources for your use. If you know of a church that is welcoming for the disabled and/or has trained its community to use language and theology appropriately, please post an anecdote! If you need resources, read on! Disabilities and Faith is a website that offers a wealth of resources - even a PowerPoint presentation that can help generate sensitivity to how we talk and interact around each other's differences in church. There is soooo much material here...go digging! This short blog post is about 5 things restaurants can do to be hospitable to wheelchairs, but its important for our church potlucks too! Accessible meetings and conferences are highlighted in an online, free guidebook published by the ADA Hospitality website. It's a great resource for thinking of our space-use and hospitality around sight and sound. I hope these resources will help you think about how your community widens the welcome to everyone. The great sadness is that over 85% of people identify as belonging to a faith tradition but less than half actually go to a house of worship even once a month. (Stats from the National Organization on Disability). Barriers include architectural challenges, programmatic barriers, and attitudes of the community. This is a statistic we shouldn't ignore. It's one we can change - for the better. It’s easy to be annoyed at those folks, as if they are not your “real” congregation. But take the 30,000 foot view and notice something: at least twice every year, those folks are probably dependably going to be in your community. Their needs and interests are different, but longitudinally, they are valuable participants in the life of your church. 1. 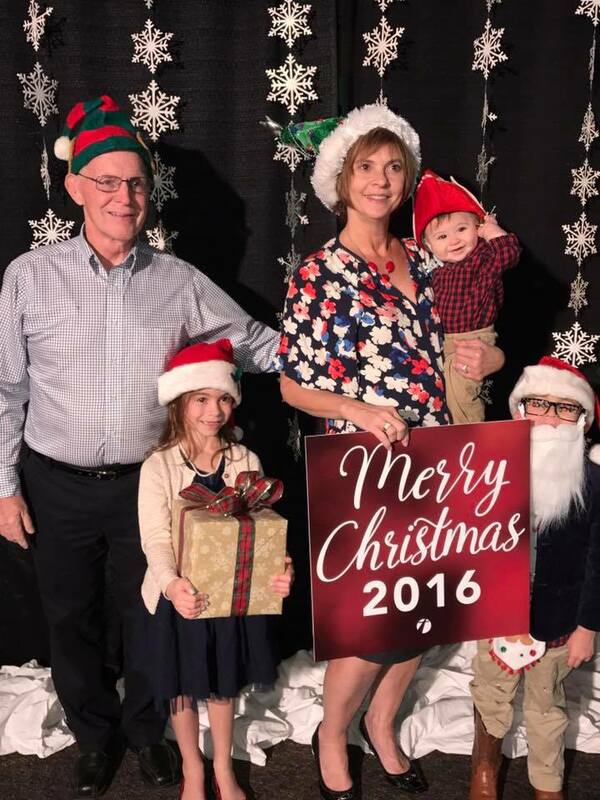 BREVITY – to really engage non-church people, consider offering a couple of shorter services specifically targeted for the irregular attenders; or at the very least make sure you don’t sing all 5 verses of O Come All Ye Faithful! 2. MEANING - contextualize and make relevant the holiday in your sermon. This is the time to go for the heart and imagination, put your intellectual sermon aside for next Sunday. 3. NOSTALGIC FULFILLMENT – most everyone loves candles and greenery, the solemn singing of Silent Night. Christmas and Easter are the times to invest in beautifying the sanctuary and making it shine! 4. VALUE FOR THE CHILDREN – parents bring children to church because they were brought to church. They want their children to experience something of value and to be valued by those in attendance. Easy wins: children’s choir, gifts for children before or after the service, a targeted children’s sermon without asking children to come forward. 5. FAMILIARITY – even if they’ve been away for years, it’s comforting to say a prayer they memorized in childhood or sing familiar songs. 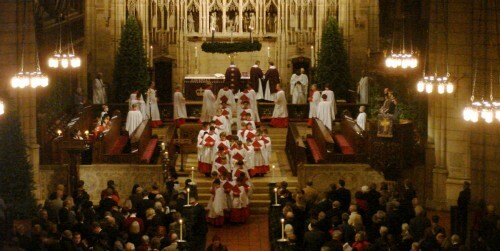 Don’t do Lessons & Carols without familiar carols! 1. Have festive events throughout the year. What if Pentecost became a carnival and samba dance party? How about a saintly costume party around Halloween? You get the idea! 2. Make your sermons and worship contextually relevant. Boredom should not be the second thing that newcomers experience, right after bewilderment. 3. Counter the “commodification” of spirituality – name that regular attendance is a way of deepening relationship – with God and other. Prove that this is true by modeling Jesus’-style love and welcome for each other. 4. Claim your identity as an intentional community. We don’t emphasize enough the power of our social capital as churches. People are longing to belong. 2. Spray a festive holiday smell throughout your space prior to service. Bake cookies in the church kitchen and serve them afterward. Don’t make many – most people will skedaddle – just let that aroma be a part of the welcome! 3. 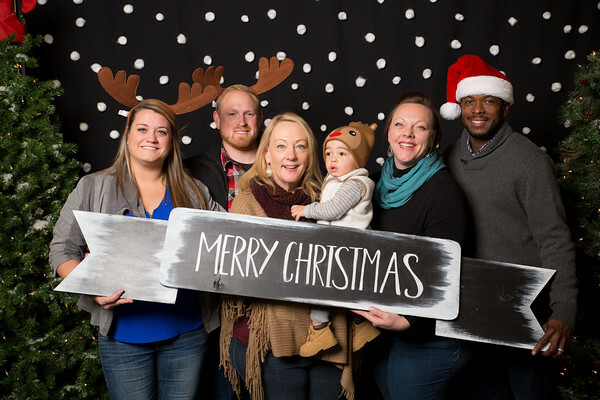 Create a holiday photo booth with props and a cardboard sign that has the church name. Collect the photos of possible for your website and social media. For unto us, a child is born, unto us a son is given. The wonder of Christmas is the arrival of the unexpected. Love became incarnate in Jesus. Let’s participate in that celebration with welcome for all – the expected folks, the surprises, and the ones we haven’t seen since Easter. They are all a part of the family even when it feels a little awkward! Conventions and Conferences are big business. Chances are, 6 out of 10 people reading this have attended a two-day or longer overnight gathering that identified as a conference or convention. 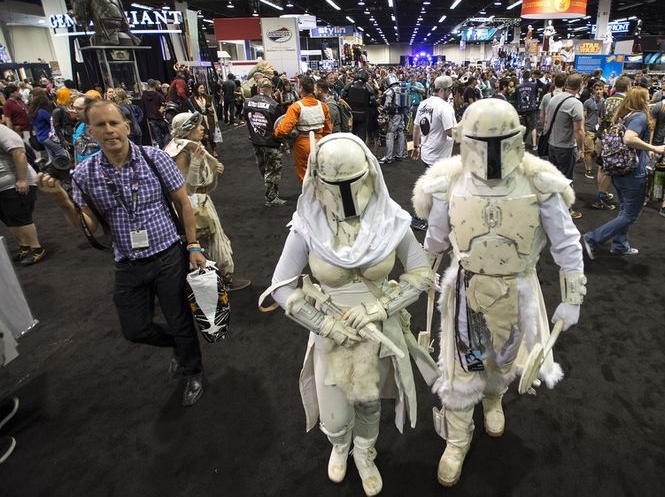 Since the turn of the century, conventions have grown exponentially, both in the number of them, and the number of people attending. While it’s difficult to get a handle on the numbers, best estimates suggest that 40 million Americans now attend one of the 500,000 conferences and conventions hosted each year in the US. That’s a lot of people! These are big money generators for host cities and facilities. They add revenue, visitors and attractiveness to a city. It's possible that conferences and conventions are becoming a substitute for the local church by providing the espresso version of social capital and Meaning . Conventions are designed for like-minded people to network, and they are designed for a heavy download of meaningful information. When I read the literature from CONVENE, the industry magazine of the Professional Convention Management Association (of which I receive a free subscription – thanks PCMA! ), what I see is a growing sense from the industry that their work is to create safe, welcoming environments for social networking and that their keynotes must, absolutely must, inspire and ignite. Sound familiar? The articles in the most recent magazine focused on inclusion, on how to get people to come to conventions year after year, and engaging creative approaches for widening convention/conference reach. So, here in a nutshell are some things to think about in terms of what Conventions/Conferences might teach us. I’m not going to connect the dots. I think you'll find it easy to do by yourself. 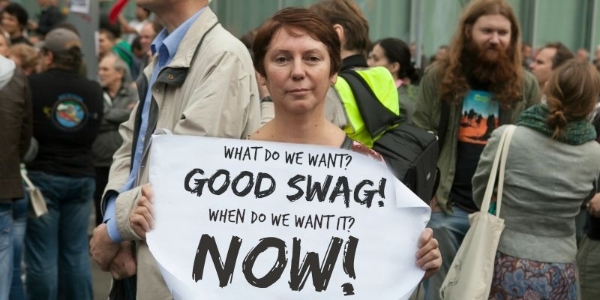 So, take just a couple of things – like swag and breakouts. What if we as churches designed our Sundays to visitor friendly? Would we give out a free coffee mug with our church logo (super easy to do and not that expensive)? Would we design our Sunday mornings with breakouts that might include say, three choices for adults and teens during the Spiritual Formation time? If we take the best practices from those who are succeeding in gathering people across hundreds of miles, who are giving the time and treasure in exchange for what they offer, we might strengthen our capacity to attract more people to experience the greatest meaning of all – life in the fullness of God’s love. There’s an amazing thing happening in the church. For the first time perhaps in the history of the world, five generations of people are gathering for spiritual meaning. Now, every generation might not be represented in every church, but, at least now, it’s regularly possible for there to that kind of range of age groups. The great-grandparents, to the babies…that’s a big stretch! This kind of breadth of age-groups inevitably leads to different needs, capacities, hopes and understandings of God. Everyone has a particular way of being in the world. We must always be cautious when offering generalities to not reduce people to stereotypes. However, sometimes they are helpful. I'm hoping that as our churches reflect on the generalities of each group, we'll be better able to identify the specifics for our settings. We'll be better able to love and serve each other if we are aware of these generational differences. 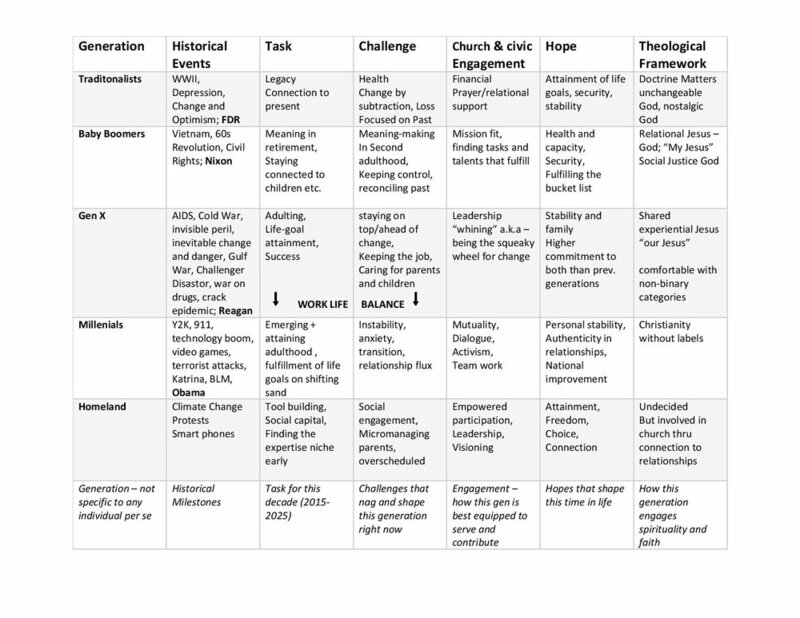 Utilitizing the work of Haydn Shaw and Steve Lawless, here is a grid that shows the generations and considers the distinctives each generation brings into a church community. The Traditionalists and the Baby Boomers are both in their second adulthood. That is to say, they are living in retirement. However, those on the older end are tasked with coping with loss of health and relationships. Much of life lays behind them, and legacy is very important. 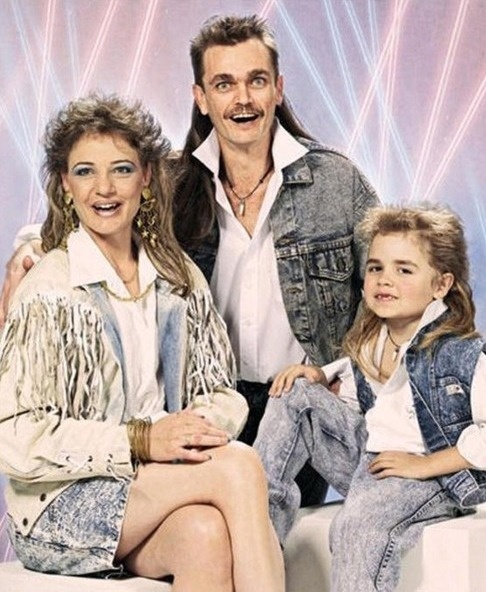 This explains why 70% of all giving to the church comes from these two generations. For the church, this is the time to honor the tremendous generosity and financial support these members have provided. Churches serve the Traditionalists best by 1. providing consistent pastoral care, 2. cultivating ways of honoring and receiving the wisdom of these members. For Baby Boomers and those who are still actively in their retirement years, the task is to find new meaning in their life after work. Retirement now has the potential to stretch on for decades. The task for the church is to 1. offer meaningful on-ramps to service, 2. facilitate inter-generational connections, 3. provide opportunities for discernment. The Gen-Xers are adulting. They are working to attain their life-goals while also managing care for parents and children. Their task is to find small ways to serve that have big payoffs for their sense of connection and well-being. Leadership and the ability to convey perspective are important contributions they make. The church can serve them through 1. providing opportunities for simple, stream-lined leadership, creating episodic social and play times, and 3. offering on-going spiritual formation groups. Millennials are the first generation to experience the full extent of emerging adulthood. The instability of vocation, location, and relationships gives them tremendous tasks for forming and fulfilling their life-goals. They are served by a church that 1. creates connections to older adults who can advise and support, 2. offers meaningful opportunities for service and 3. provides vision-casting in ways that help shape their formation. 1. Invite older, long-term members to attend newcomer’s classes. This would provide an opportunity to honor their legacy and create relationships across generations. 2. Include personal stories in worship. Most members don’t get to know each other that well. Stories allow for a deeper dive, create intimacy and connection and appeal especially to millenials and Gen-x ers for whom personal experience is a root for truth telling. 3. 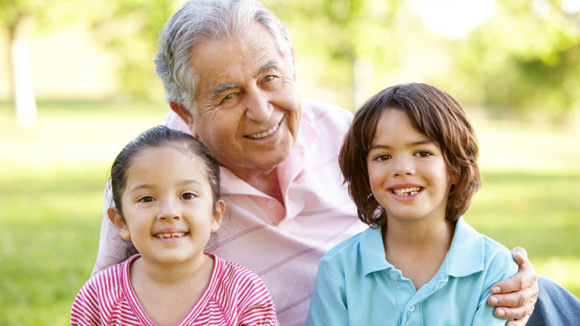 Build connections through mentoring and “grandparenting” – creating an established structure for relationship and resourcing will strengthen the community and widen its appeal. We are at an amazing time in the world. Yes, the times feel treacherous, but they are also full of potential. Our faith in God and our commitment to one another across generations provide us deep roots and wide wings for hope. Where once music, manners, and morality united us all (at least in theory), now, the culture is vibrant with differences and often caustic in language. Christians are grappling with how to navigate these things regardless of where they live.